There's so much going on around me lately that I could hardly catch up with blogging. Now that this thing is done, hopefully I’ll be able to get back to blogging a little more frequently. At this moment these are my favorite, I am absolutely in love with the combination of skater skirt and of course the plaid shirt - they are simply adorable. When I put them on I just cannot help it but smile. I seem to be attracted to everything plaid these days! I honestly can’t remember how many times I’ve used this spikes Lita boots, but I’m simply obsessed with it. 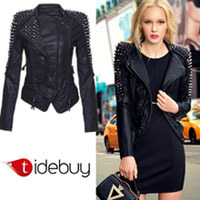 It instantly pumps up a plain ensemble and transforms it into something edgy and rocker chic. You look so pretty!!! I love your skirt!!! Plaid rocks. Such a fun fall trend, indeed.